It's been three years since Michael Thompson has played the Valero Texas Open but he recently added the event to his tour schedule in hopes of qualifying for this year's Masters. In order to get into the first major of the year, Michael will need to win this week or next. Although the odds are long, as they say with the lottery 'you can't win if you don't play', and Michael has opted to play both events. 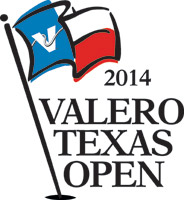 This week's tournament is being held at the JW Marriott, TPC San Antonio. Michael will be grouped with John Merrick and Charlie Beljan for the first two rounds. They tee off from the first hole at 7:00AM ET (8:00AM local time).